Magnatone has announced a new version of its Jeff Beck and David Crosby-approved Varsity combo, the Varsity Reverb. The point-to-point wired 15W guitar amp features a pair of EL84 power tubes and 12AX7 preamp tubes, now paired with a tube-driven Accutronics spring reverb. 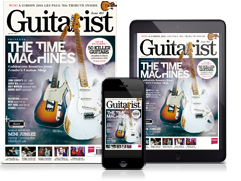 Players can also add a footswitch to control the amp's negative feedback feature, as well as turn reverb on or off. Elsewhere, the amp packs high- and low-sensitivity inputs and a custom Magnatone 12” ceramic magnet speaker. 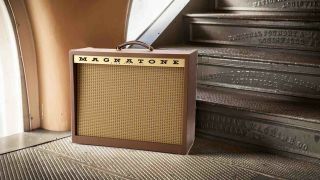 The Magnatone Varsity Reverb is available now - head over to Magnatone for more info.